"Presente pra vocês" is the title of her first album released in Spain. It was born out of the need to fuse diferent musical styles but is clearly based on Brazilian Jazz. The result is an album full of freshness and elegance backed by a refined interpretation by all the musicians who have colaborated on this project. José Luis Guart, Albert Bover, Horacio Fumero, Marcelo Núñez “Taquini”, Luis Robisco, Marcelo Mercadante, Alejandro Luzardo, Llibert Fortuny, Igor Pavlyuchenko, Dani Zapater, Cidón Trindade, Nicolás Correa, Kena Toledo. A new and young voice always stimulates the curiosity of the aficionado. Unfortunately, many of these voices get lost in the tough way to success. Finding an identity often proves to be essential when it comes to launching and establishing a career as an artist. And Yara Beilinson has been working on hers for a long time now. Brazilian, but with an Argentine accent, she owes her musical background not only to her broad education, but also to the cultural sources she draws from and which are apparent in her every performance. Singer, composer and guitarist, she began her career at the age of ten with Los Abuelos de la Nada (Andrés Calamaro), and ever since, she´s been improving her technique and complementing it with other artistic disciplines. Her musical career has been marked by innovation. Her love for music and its many facets has become self-evident in her many collaborations with artists such as Afrocuba (Silvio Rodríguez), Rubén “Mono” Izarrualde (Paquito D´Rivera and Lito Vitale), Marcelo García, León Gieco, Chango Farias Gómez (M.P.A, La Manija and drummer in the recording by Vinicius de Moraes and Toquinho in La Fusa) Miguel Tallo (Pedro Aznar and Mercedes Sosa), Luís de la Hoz (Isaac Delgado), Guillermo Vadalá (Fito Páez), Oscarito Valdés, Kubero Díaz, Guillermo Cides, to mention a few. In her voice and her cadence while on stage, one can almost feel her longing to spread and make us feel the music she has in her, the music she has taken to so many different people in so many different festivals, from Brazil to Cuba, Argentina, Spain, Uruguay, France and Bolivia. In her first very personal recording, Yara presents the best of her repertoire in an introduction to the public that shouldn´t go overlooked. Jordi Pujol (Fresh Sound New Talent / Blue Moon). 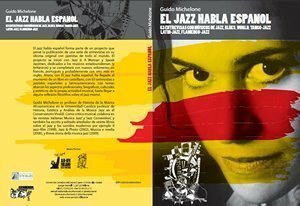 Yara Beilinson, Paco de Lucía, Michel Camilo y Arturo Sandoval among others artists, form part of this book of interviews of the music critic Guido Michelone. (Italy). "After listening to the album many times, I can say that 'Presente pra vocês' is an authentic delight, especially the pearls composed by Yara Beilinson, whose voice lifts me up every time I hear it. A truely wonderful piece of work which I keep amongst my best albums."